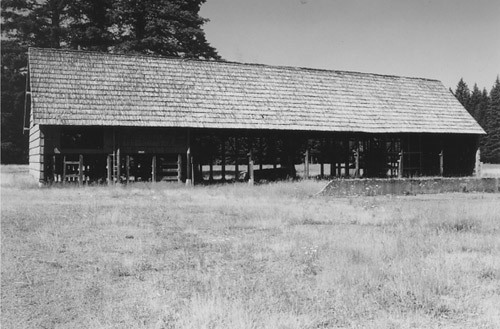 Physical Description: This 3,340 square foot CCC era pole-frame structure is an 8-bay shed, built for sheltering field equipment. The roof material consists of long clear cedar shakes. The building sits in the open Martha Creek Field and is visible from most of the other buildings in that area. Major systems in the facility include single phase power and water to the building.